Show your support! 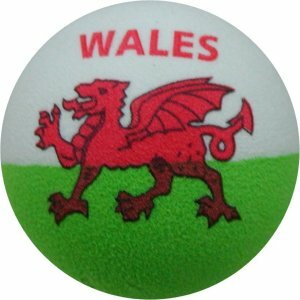 Our Wales Ball can be pushed onto your aerial or use the free spring provided and turn it into a Wobbler for your desk/dashboard. This Topper is approx 5cm across and is made of high density foam. Just follow the bouncing ball to a really great web site! Having had two Wales Balls aerial toppers, as a present, previously and worn one out, the other having been stolen, I was delighted to order again from the same company. The goods were really economically priced as I had a two for one offer and I received a jolly frog aerial ball as a gift! The web site was easy to navigate, there was a fabulous choice and the goods arrived very quickly indeed. Anyone who wants a cheery aerial topper ball or shape (they also assist enormously in finding your car in a big car park) could not do better than to go to these lovely people! Bought for a friend who was thrilled! Second one I have ordered as someone pinched first one. Good quality and value for money. A tip given to ms as I get on in years has been to have a topper on my car...because it helps to find them in crowded car parks! 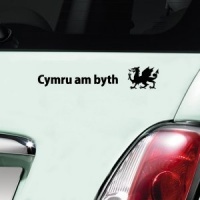 Ideal to have my flag as well. Thanks. I have just read your feedback and I’m so, so sorry I forgot to include your Free Aerial Ball. I must have had a ‘senior moment’! I will pop one in the post for you first thing in the morning. What it says on the tin!!! !